When I first started flying to Maui to teach in 2002, there were very few, violin students on the island. In fact, I was talking with some of the parents about this the other day, most had never even seen a violin in real life before, much less considered the idea that they might actually be able to play such an instrument. Every year I join forces with piano teacher Peiling Lin and host a student recital to celebrate our students’ work. Sunday’s recital really brought home how far things have come. I still remember fondly our first recital, all these cute little girls and boys playing twinkle twinkle little star. On Sunday, it was pretty clear that these kids are all grown up now. The girls arrived in “full teen regalia”: 1)make-up (or as I mentioned to one of the father’s…”war-paint”) 2) trendy formal dresses 3) 3 to 5 inch high heels… no longer little girls but young women. The boys were dressed more awkwardly in their dress shirts, no tie, . My mom, visiting from California commented, “If you look that good, you better deliver [a good performance]”. Indeed there were many fine performances. 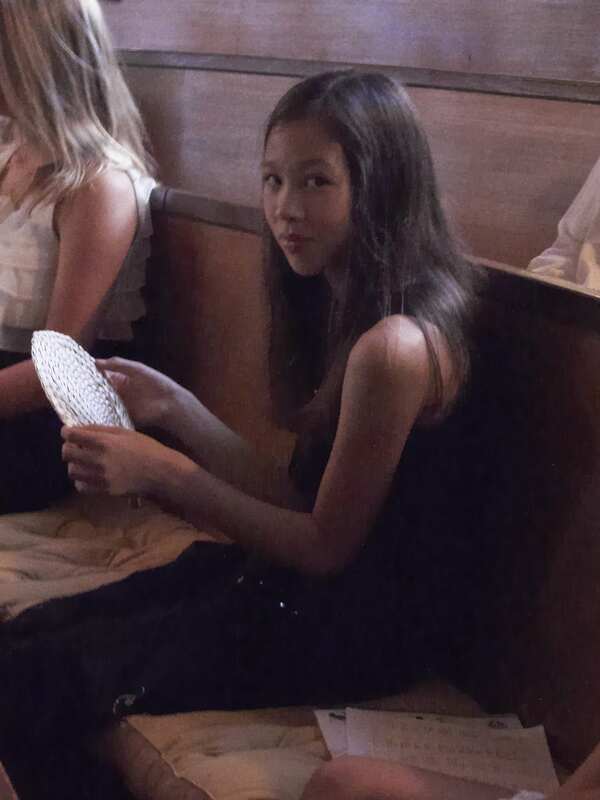 Faith delivered a fine performance of Pachelbel’s Canon in D, despite the fact her absent minded teacher forgot where the cut we agreed upon was supposed to be. Celeste’s Polonaise Brilliante, accompanied by her Grandpa, award winning composer Robert Pollack, was cute and enjoyable. Jayln and Katrina turned in solid performances of the Seitz student violin concertos. Hannah’s Handel Bourree was pretty. I was particularly proud of my student Clara who performed the old gypsy standard “Czardas” by V. Monti. 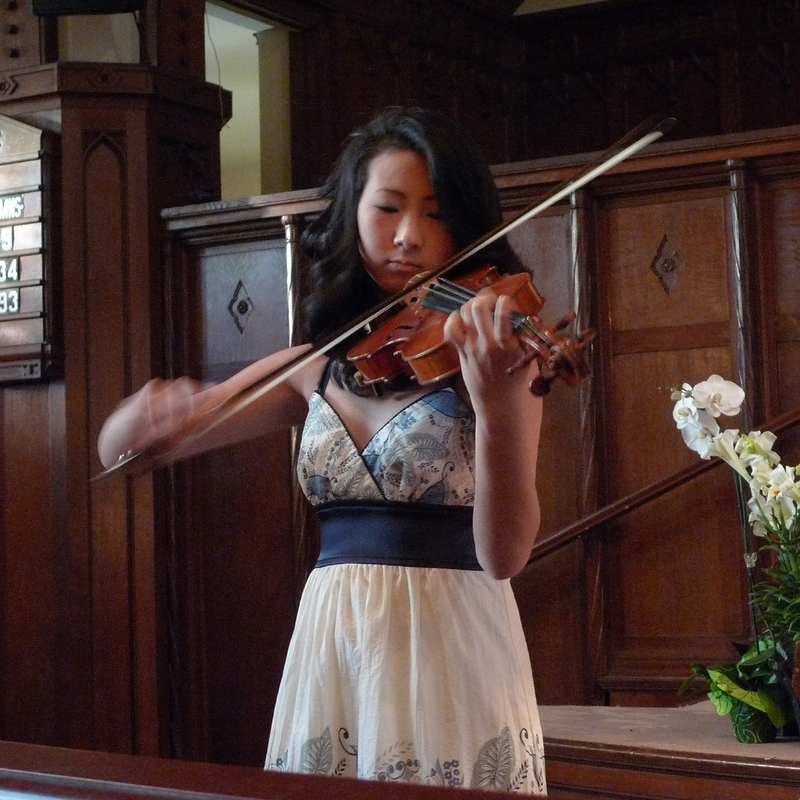 Kisa, an ambitious 14 year old, did a fine job on the last movement of Bach’s Partita No. 1 for Solo violin….after only one month of study. The highlight of the afternoon for me was Sean’s performance of Beethoven’s Spring Sonata. Sean is a graduating senior and we will miss him next year. He ended the recital lovingly accompanied by his mother Peiling.